Snapdragon! I know. You're shocked. Erika went for the coral/pink. 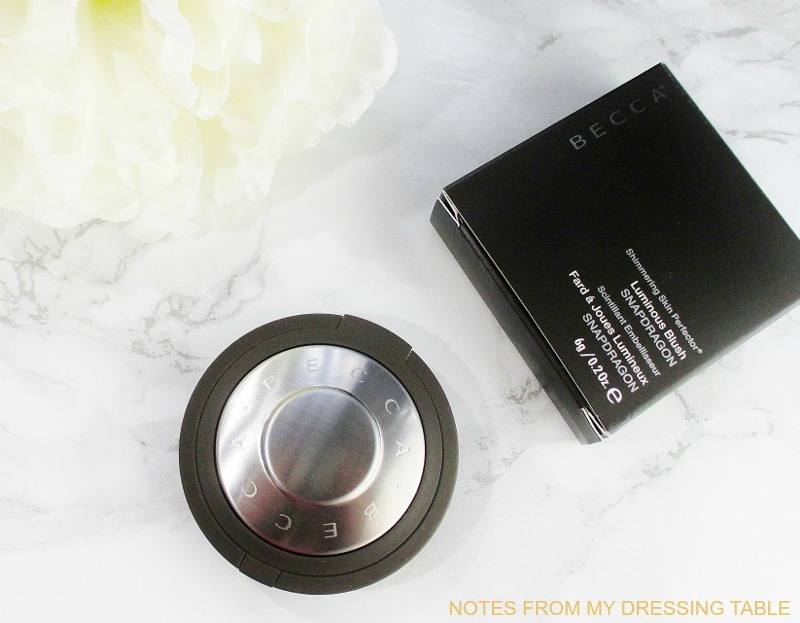 Becca Shimmering Skin Perfector Luminous Blush is housed in Becca's signature chic, industrial style packaging that fits neatly into makeup case drawers and looks great on my dressing table. 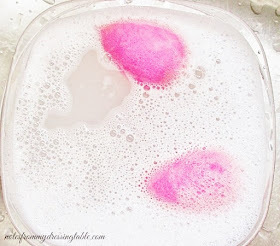 This velvety soft powder is beautifully pigmented and silky to the touch. Just a tiny bit on my brush supplies a luminous, translucent flush with a soft, golden glow that makes my cheeks look lit from within. 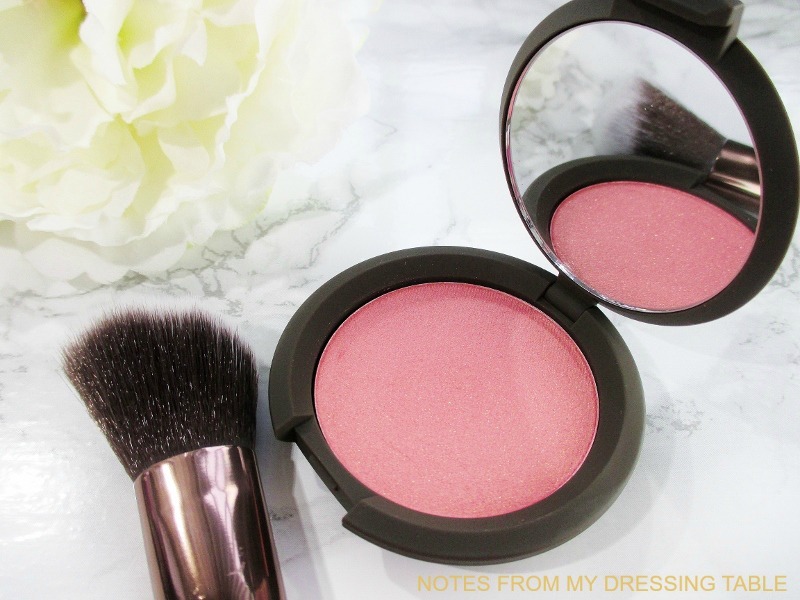 This blush blends beautifully and it wears, on my skin all day long with no need to ever touch up. Swatched in a swipe and blended out with a brush. I swear, I need to improve my lighting, my swatch photos are a nightmare! 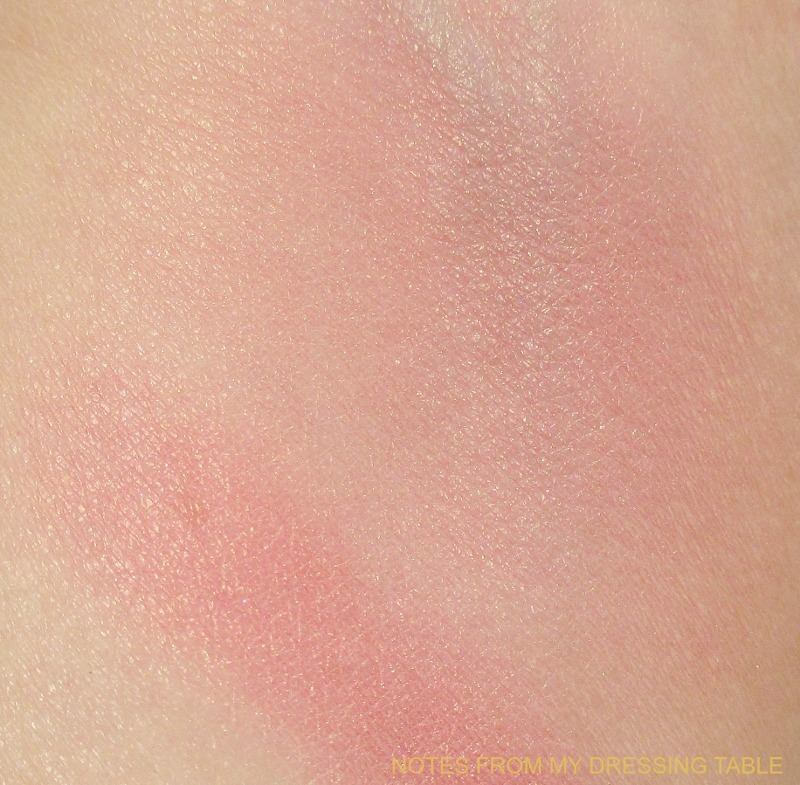 But I hope that you can see just how gorgeous, pigmented and softly translucent this blush is. I have my greedy eyeballs on a couple more shades of the Becca Shimmering Perfector Luminous Blush. In addition to my now beloved Snapdragon, I believe that Camellia and Foxglove would suit me, quite nicely. Becca Shimmering Skin Perfector Luminous Blush is available at Sephora, it is Paraben and Sulfate free. Becca is Cruelty Free. 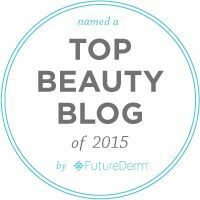 Are you using, loving these blushes? What is your favorite shade?